A domain name is your Internet identity. In some cases it is your online brand. It is the name that is typed into the web browser's address bar when someone wants to connect to your website, and the name used on other websites in links to your site, and in search engine results that link to your website. It can also be part of your Email address. Domain names are unique, so if you want to register a domain name, you'll need to find one that isn't already in use. One place to find out if a domain name is available is on the Network Solutions WHOIS Search page. Type the domain name you want (without the extension) into the "Search for a New Domain Name" box on this page and click "Search for Domains" to check availability. Most businesses use ".com" domain names, most non-profit organizations use ".org" domain names, and most Internet Service Providers use ".net" domain names. However, there are no hard and fast rules for picking a domain name extension. We can register your domain name for you at a cost of $12.50 per year, or you can do it yourself. If you're going to have us host a website for you, it's probably better to let us register the domain, as there are some technical details that you wouldn't be aware of. While Network Solutions (above) is a great place to check for availablility of domain names, we no longer use them as a domain registrar. They are quite expensive. We've had great success using Bulk Register, a less expensive and very reliable domain registrar. If we register a domain for you, we will set you up as the "Administrative Contact" for your domain. 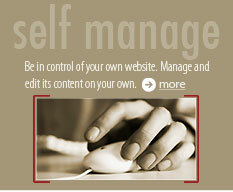 This ensures that you have control over the domain. As Administrative Contact, if you ever want to move your website or your Email to someone else's servers, you will be able to do that. Your website and your Email accounts will need a host (a place to live). Important factors in choosing a host are reliability and redundancy, datacenter connectivity (to the Internet) and security, and available server software and tools. Reliability and redundancy  We use top-of-the-line Dell servers with RAID arrays (arrays of hard drives that will continue to function without data loss even if one of the drives fails) and redundant power supplies. Our servers are hosted at a datacenter in Denver, Colorado. Datacenter connectivity and security  Our hosting datacenter has 5 gigabits/second of bandwidth to the Internet, through 5 distinct Tier 1 Internet Service Providers, and has completed a SAS70 Type II security audit. Available server software  In order to provide the most efficient and cost-effective websites and web application programming to our clients, we have ColdFusion installed on our hosting web servers. We use SQL Server, Microsoft's high end relational database, for client website data storage. We have also installed several carefully selected ancillary programs on our servers, which help us to provide the special features and functions that some of our clients benefit from. Can we get Email accounts along with our website hosting? Yes. It's important to use Email addresses that are connected to your domain name. This enhances the credibility and professionalism of your Email communications. If we host your website, we will set up as many Email accounts for your domain as you need. Initial consultation  We visit with you and gather information about your company, your products or services, your customers, and your competition. We determine the purpose and goals of your website, and try to get an indication of the look and feel that you desire. We use all of this information to develop a project proposal and cost estimate. There is never a charge for this. Project start  We discuss the proposal with you in detail. When you decide to proceed, we gather copies of any existing printed collateral, any photos or image files that are applicable to the website, and a list of the Email accounts that you would like. A deposit of 50% of the project cost is due at this time. Design and development  We register your domain (if necessary) and set up your account on our web, Email, and database servers (if required). 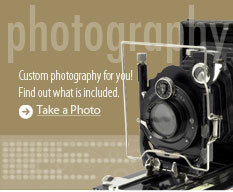 We will often set up a grayscreen prototype for you, so that we can more easily define the content of your web pages. We then set up a "development site" with access that is only available to you and to our designers. At various stages of the design, we will ask you to look at certain pages on the development site and provide us with feedback. 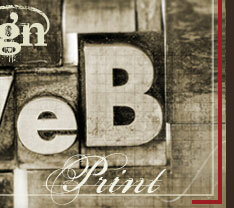 Typically, your web pages are initially designed as static HTML pages by our graphic designers. Then, if programming or database functionality is required, the programming code is added. 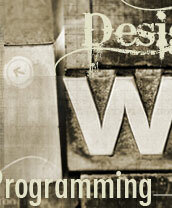 There can be some overlap in the graphic design and the programming, in the interest of saving time. Website launch  When design, development, and any necessary programming are complete and you have approved everything, we launch your site  making it accessible to the world using your domain name. The balance of the project cost is due at this time. Maintenance, updates and support  After your site is launched, you may need updates from time to time. We can maintain and update your site at an hourly rate, or we can offer several types of content management if you would like to be able to update the site yourself. Some of the dynamic websites that we have developed have very extensive password-protected administrative pages designed specifically for this purpose. If any programming errors are found, they will be corrected immediately and at no charge. We don't have a company logo. Can you design one for us? Yes. We have on staff some of the best graphic design talent in Western Colorado. We can handle logo development as well as print advertising design. Yes, please see our Website Design Portfolio page. How can I get my website to show up in search engine results? First, realize that this is not easy and it is not quick. Anyone who tells you they can get you a top-10 ranking on Google in a short time is blowing smoke. Second, you need to decide which keyword phrases you would like to rank highly for. Pick phrases that are not so general that too many people are competing for them, and not so specific that very few people search on the phrase. Third, make sure that you have rich content that is appropriate for your keyword phrases, and have your web designer incorporate the "on-page" SEO elements (like the title tag, meta keyword and description tags, headline tags) using those keyword phrases. Yahoo directory listing  $299/year, but worth it if high search engine rankings are important to you. Make sure your important keywords are in the listing description. DMOZ directory listing  Free, but difficult to get listed. Extremely important for high search engine rankings. Make sure your important keywords are in the listing description. Inbound links  Start asking other websites to put links to your site on one of their pages. Concentrate on sites with relatively high Google Pagerank, and make sure that your important keywords are included in the anchor text of the link. Also make sure that the "theme", or subject of the sites linking to you (or at least the theme of the page your link is on) is the same as the theme of your site. Use the same link format consistently. The example above in bold is the preferred format. Note: You can get highly ranked on Yahoo and MSN much more quickly than you will get highly ranked on Google. Google uses very different factors in their ranking algorithms, and it may take 6 months for a new site to show up at all in the Google rankings. What can I do while I'm waiting for my SEO efforts to pay off? As we mentioned above, it may take 6 months for a new site to show up at all in a Google search. While you are waiting, you can set up a Google AdWords campaign, and "pay" to have your ad appear on top Google search results pages. You don't pay each time your ad is displayed; you pay each time someone clicks on the ad and comes to your website. You can bid for positioning of your ad and setup a maximum daily budget for your ads. Keep in mind that, in most cases, the top positioned AdWord ad on a page will give you about the same traffic as the #7 or #8 natural search result on the page  and you can end up paying a lot of money for the top AdWord position. So it's well worth spending some time and resources on improving your natural search positioning through Search Engine Optimization. What are secure web pages? Secure web pages are pages that are encrypted using an "SSL certificate". They are "secure" in the sense that, when they are loaded from or sent to the web server, they are "scrambled" in a way that makes them virtually impossible to read, in the event that they are hijacked along the way. Secure web pages should be used on pages where you are asking for credit card numbers, and on any other pages that may contain confidential information. If a web page is secure, a small "lock" icon will normally appear in your browser window (the position depends upon the browser you use), and the URL in the address bar will start with "https://" instead of the normal "http://". Most Internet users look for this, and won't supply confidential information unless they see it. What does it take to host secure web pages? which may not look quite as professional to some folks. Secured-shopping.com is our own secure site, and is available for use without charge to our clients. How can I take orders over the web? Depending upon the complexity of your site, we can set up a shopping cart with a secure checkout page or a secure single-page order form. The shopping cart or order form can be dynamically generated, and can contain only your currently available products. We can set up password-protected administrative pages (for your use only) that allow you to add, update, and delete (or de-activate) products. How do I process credit card transactions? There are several ways to handle this. Your website can be programmed to let you know that an order has been placed, and you can process the credit card transaction manually using your current credit card handling system. If you would like this process to be automatic, we can set up an interface on the website to a merchant account gateway that connects directly to your merchant account. Through this interface, when an order is placed, the website gets back an immediate approval or denial of the charge (and can take action accordingly), and the funds are automatically transferred into your bank account. How will I know when an order is submitted? 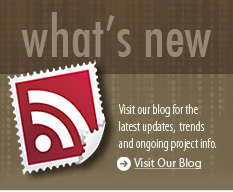 We can program the website to send you an Email whenever an order is placed. This Email can contain a link to a secure page on your website that displays the complete order information. We can also set up sales reports for you, if you so desire. These would be available through password-protected administrative pages on your site. What costs are involved in creating and hosting a website? Domain name registration charges  These are the charges you pay in order to become the owner of a domain name. The current cost is $12.50 per year. Graphic/web design costs  These costs vary widely depending upon the size and nature of your website. We can develop a proposal containing these costs after meeting with you to discuss your needs and goals. Programming and database design costs  If you need programming and database connectivity, we can include these costs in our proposal to you. Again, we need to meet in order to determine your needs in this area. Hosting  Fees for hosting your Email accounts and most websites vary between $20/month and $65/month. Static sites (sites without programming or database connectivity) are at the low end of that range, and high volume dynamic (database driven) sites are at the high end. Maintenance  We can set up a monthly or annual maintenance agreement with you, or we can perform site updates based upon our standard rates. Search Engine Optimization  There are many factors involved in achieving a high ranking in search engine results for your important keyword phrases. If anyone tells you they can get you a top-10 natural ranking in Google's search results very quickly, run (don't walk) away from them. Search engine optimization is a methodical process that involves many variables, and requires several months to achieve  especially with Google. This all sounds expensive. Are there other options? Yes. Keep in mind that your website can play a very large part, or a very small part, in the success of your business. For some businesses, the website IS the business. 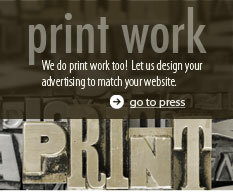 We have on staff the most creative graphic design talent in the Grand Valley. We work with professional copywriters  or you can write your own copy. Our highly skilled programmers can get the job done for you quickly and elegantly. If low cost is your primary objective, we have a list of other competent web designers, and we'd be happy to make a recommendation based upon your needs. Call us today or use our Contact Us page if you have a question that's not here.